THESE mooncakes are almost too pretty to be eaten and they’re perfect to be given to friends and family as edible gifts. They also contain mixed quinoa, dates, pomegranate, lemon peel and oreos. This recipe was first published in Flavours magazine. Sift the flour and icing sugar into a mixing bowl. Add the shortening and place the mixture into a stand mixer fitted with a paddle attachment. Beat on low speed. Slowly pour in the cold water and beat until dough binds together. Divide into 65g to 70g portions. Place the quinoa and the water into a pot and boil until quinoa is cooked. Place the quinoa and the remaining ingredients, except the lemon zest into a stand mixer fitted with a paddle attachment and beat until mixture is thoroughly combined. Add the lemon zest then divide into 60g portions. Dust some flour into the mooncake mould and knock out the access flour. 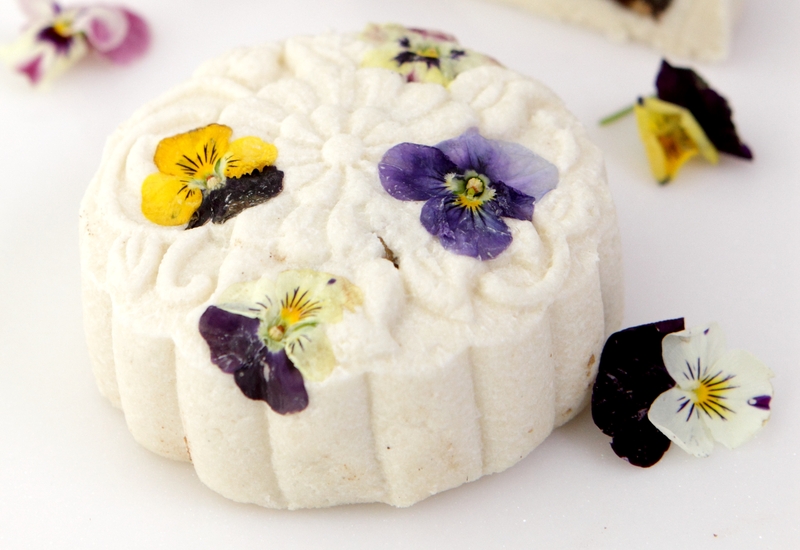 Place the filled dough, flower side down into the mould and press. Knock out the mooncake then chill in a fridge for 5 minutes before serving. (You do not need to chill it, although chilling makes for easier cutting). Mooncakes should be consumed within 2 days. You will also need a mooncake mould to give them their shapes.